I’m an inveterate book collector. I always have been, usually a wideish range of stuff; aviation, military, political, political biographies, and decent fiction, but in my whole collection of books (and think a complete wall of books here), there are only about three on motorcycling. This is because I find it better to ride the things than read about them. If I’m bolting one together (or ripping it apart) I tend to acquire a manual (oft these days on disc) and that tends to stay in the workshop. There is another reason too which is a bit more controversial. That’s the simple fact that so much stuff on motorcycling is so badly written. So it was with all the above in mind that I offered to review a book for RC. 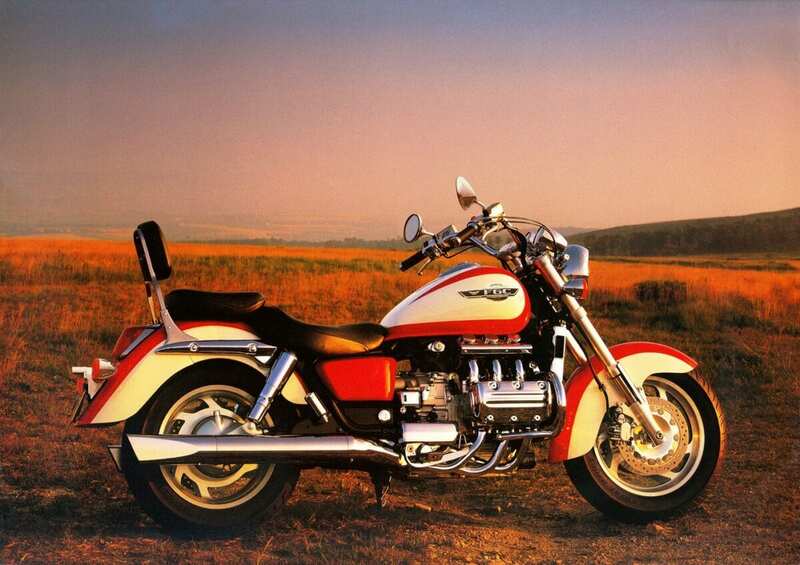 The book I sort of chose (or chose me) was The Honda Valkyrie by Peter Rakestrow. I wasn’t too disappointed about the subject matter. Firstly, I love big Hondas (well all Hondas actually). 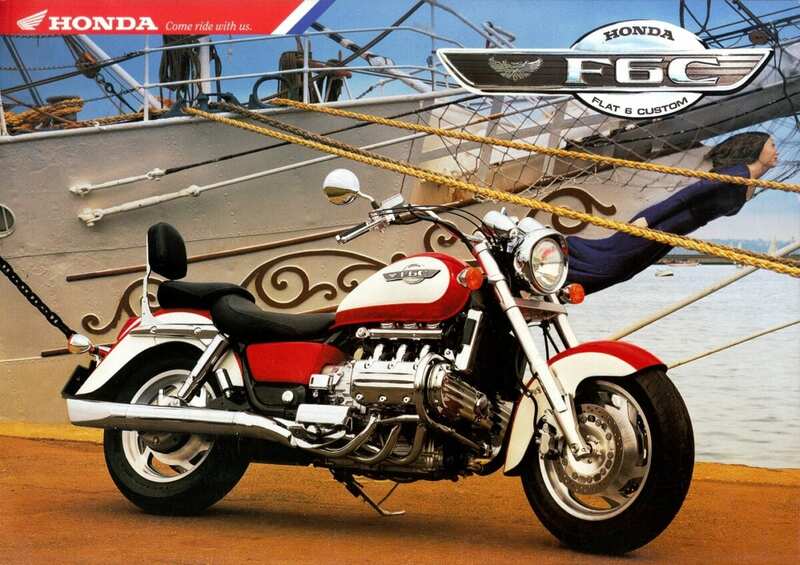 I also quite like big cruisers (owned a couple of Harleys and Yamahas in my time) and the two come quite nicely together in my Honda V65 Magna, so I was interested in the subject matter. 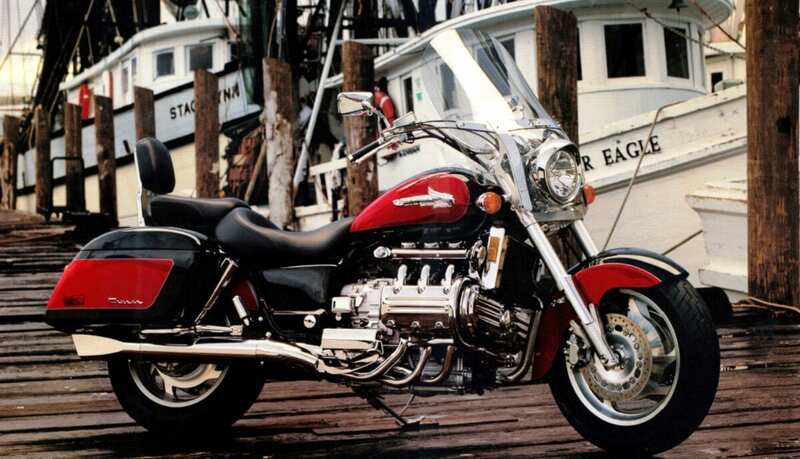 I’ve also long held the view that the more cylinders the merrier, and the cruiser as a type is hobbled by the slavish (and I realise it’s an American market thing) to the lumpy, over sized V-twin. It seems to me that a V4, or even better a flat six, is just the sort of thing needed to bring a bit of excitement to the type. So I really wanted to be converted. 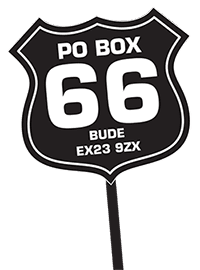 I was hoping that I’d be reading about someone who knew these bikes, could tell me what it felt like to drag one from the shed on a glorious summer Sunday morning and go out to rip up a few hundred miles of warm, dry tarmac, and how, I should bust the piggy bank, to get one and join in the fun. In short I was willing to be converted. No, sadly, I wasn’t. The author tells me none of this. What we do get is 95 pages of a brief and slightly erratic history of Honda, followed by what colour Honda sprayed the bike in what year and other technical data for the rest of the book, rounded off with a section on the Honda Rune. I hesitate to say this is lazy authorship, but it’s nothing anyone couldn’t have gleaned from Wikipedia or a selection of old Honda brochures. After a very short time, I began to really wonder what the thought process was behind compiling lists of tech data and colours. 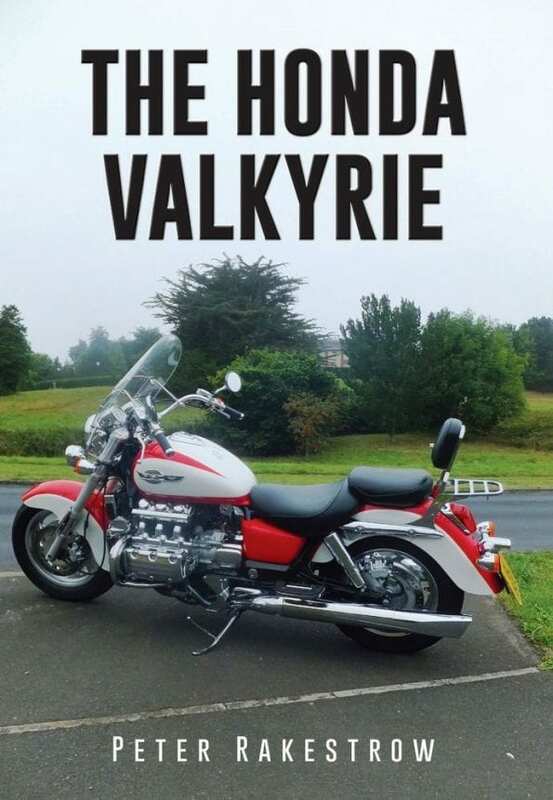 It’s hardly authoring, and I can’t say it sold me a Honda Valkyrie. What I wanted was passion, humour, to be entertained, but I found none of this. Let’s be honest, if we’re going to read a book, it’s primary function is to divert the reader away from his or her immediate situation, possibly one of grey drudgery, and entertain them. Perhaps it’s me, but knowing a certain Honda was available in yellow in 1998 doesn’t do that for me. I suppose if one wanted to buy a Valkyrie, and needed to know what to look for when out perusing, then this might help. Even then, there are no points made on what to be wary of in worn Valkyries. 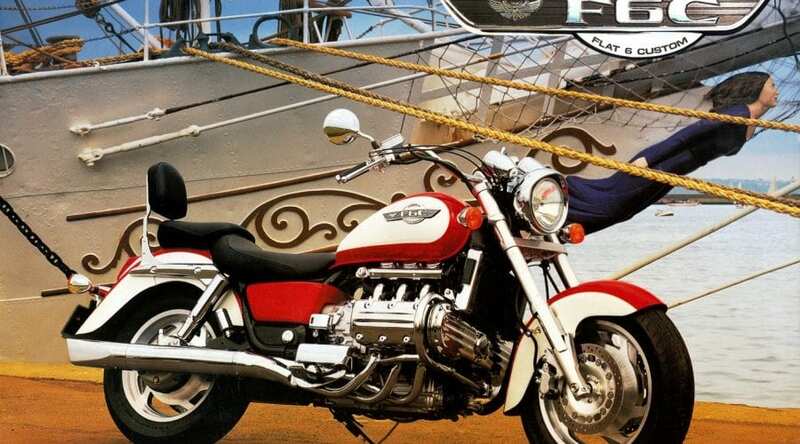 I’m not even sure the author has ever owned one; he certainly doesn’t make it clear if he has although there is a picture included of him sitting on one during a test ride at a Goldwing rally in 1996. In conclusion, did I like the book? No, not a lot, and I still can’t really work out what the author was setting out to achieve. 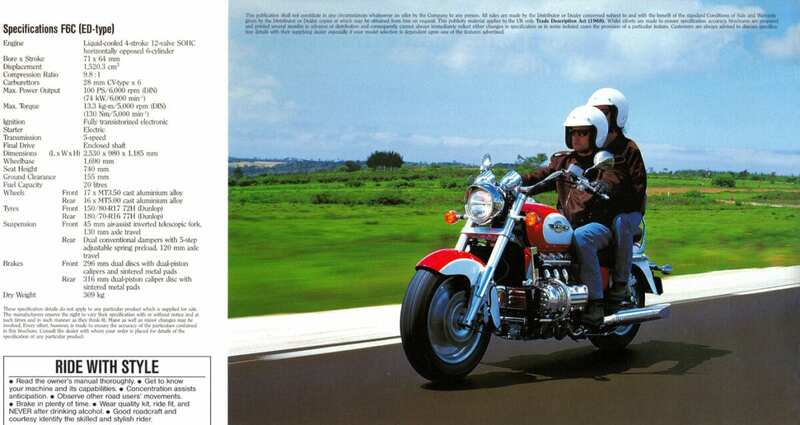 Do I like the Honda Valkyrie? Yes I think I do. I’m not too keen on the mudguards, but I love what I think was the concept behind it. Would I buy one? Well, probably not. I’m certainly none the wiser from reading this book about whether I’d like one. I’d need to know a lot more about then before I went that far.